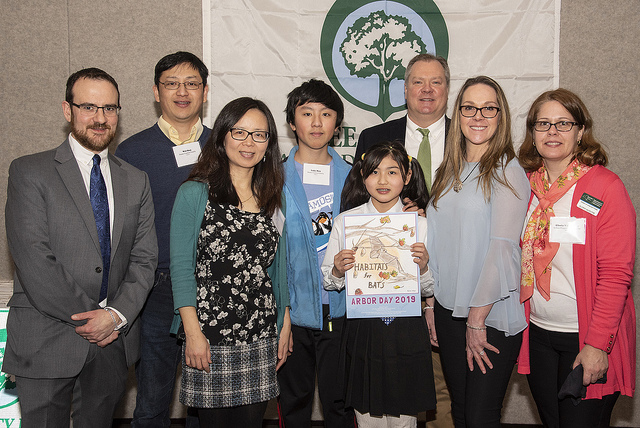 Fifth grader Julia Hou from Minnesauke Elementary on Long Island submitted the winning Arbor Day poster for 2019 on the theme of “Habitats for Bats.” NYSDEC State Urban Forestry Program Coordinator Gloria Van Duyne is at far right. 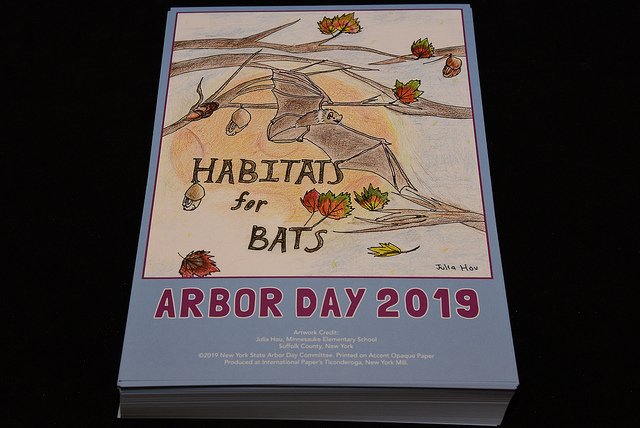 A closer look at Julia Hou’s “Habitats for Bats” illustration. 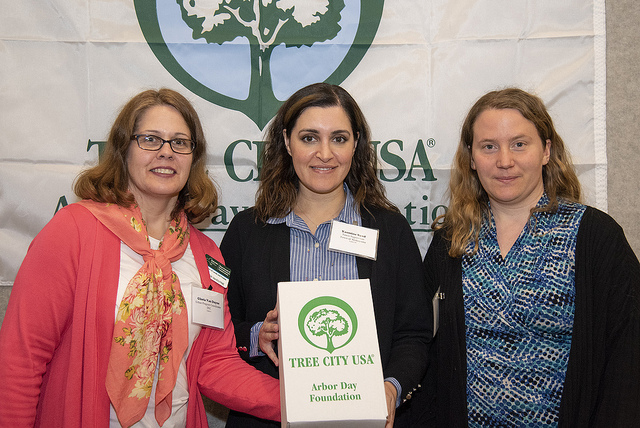 Niskayuna celebrated its first year (2018) as a Tree City USA. Town Supervisor Yasmine Syed accepted the award with a colleague. 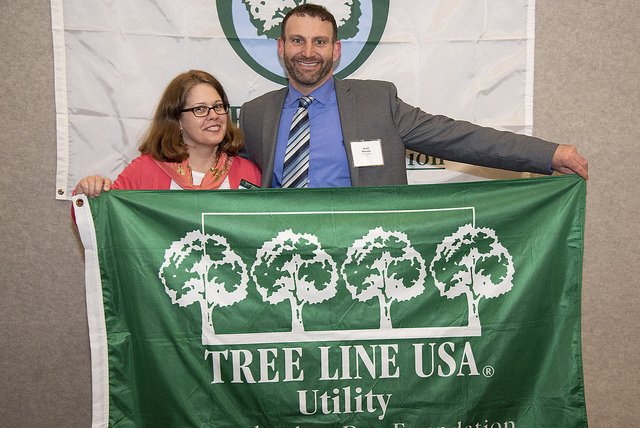 Con Edison Senior Specialist Scott Marotta accepted the Tree Line USA recognition for the utility. 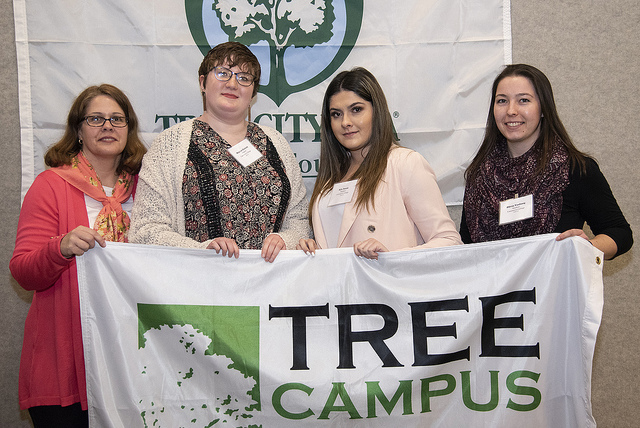 Cazenovia College students and environmental advocates accepted the Tree Campus USA award for their campus. 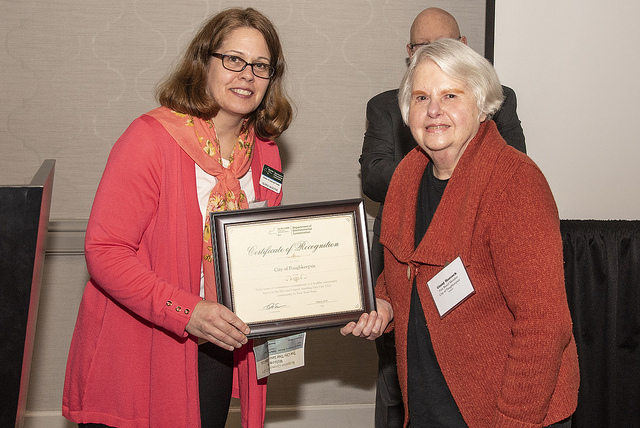 From left is NYSDEC State Urban Forestry Program Coordinator Gloria Van Duyne, Megan Hansen, student with name not visible, and Olivia Vosburg. 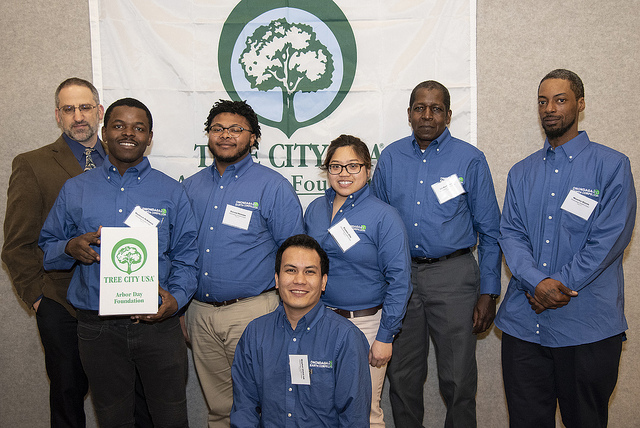 Poughkeepsie received a special recognition for being the first and longest running (40 years) Tree City USA in New York State. Accepting was Ginny Hancock, Chair of the Poughkeepsie Shade Tree Commission. 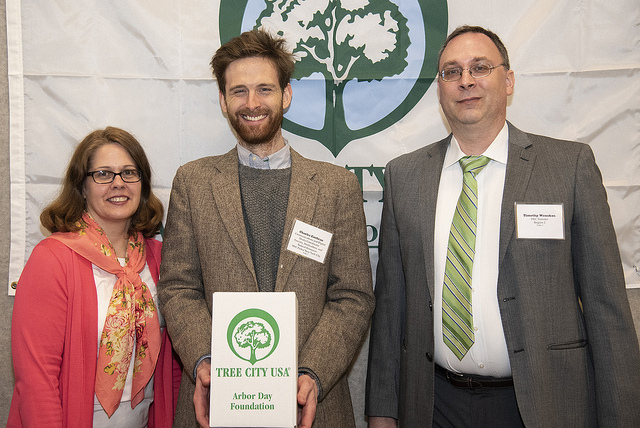 NYC Parks Communications and Digital Media Coordinator for the Division of Forestry, Horticulture & Natural Resources Charles Cochran and DEC Region 2 Forester Timothy Wenskus accepted NYC’s Tree City USA recognition for 2018. 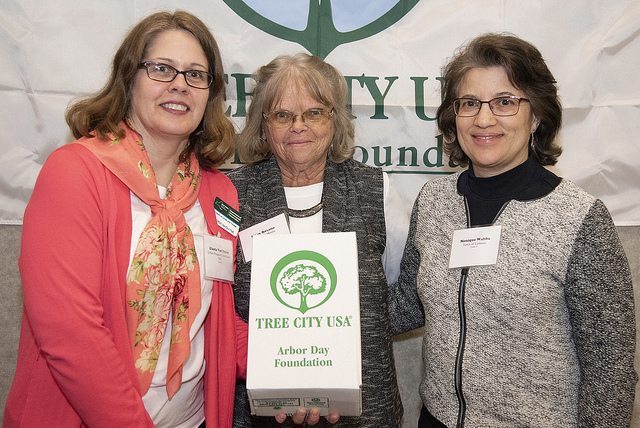 Ellen Rosano (center) and Monique Wahba accepted the Tree City USA award for the City of Colonie, a Tree City for about three years now.